Visitors to Market Rasen will continue to enjoy two hours free parking, but residents and workers who buy parking permits are set to see costs soar. Last Tuesday, West Lindsey District Council’s Prosperous Communities committee approved recommendations put forward as part of the annual review of the town’s parking charges. Councillors approved the continuation of the two hour-free period, with the other meter rates staying as they are. However, the permits are set to almost treble in price over the next three years. A six-day permit will rise from £106 to £216 in 2019/20 and then to £306 in 2020/21. Discounts are available if paid by direct debit. Attending the meeting as vice-chairman of the Market Rasen Action Group, as well as a member of the new acting town team, businessman Adrian Campbell told councillors he questioned the figures available on the costs of implementing parking charges in the town. He said: “The forecast that the income from the car parks would be £50,000 with £31,000 costs and £19,000 profit must have been attractive. However, we learn that in reality it is costing £43,000 to operate Market Rasen’s car parks, but only bringing in £27,000. Mr Campbell suggested an alternative proposal, to suspend charges for 12 months, save the £43,000 running costs and keep the permit scheme while monitoring footfall for another 12 months. This was later approved by Coun John McNeill. 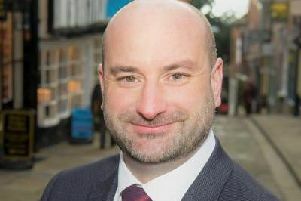 However, Coun Paul Howitt-Cowan said the amendments would “drive a coach and horses through the entire policy” and could lead to residents questioning Gainsborough’s parking policy.